This arrived in separate parts in the box, and was very easy to put together. The instructions were clear and made it a very easy job! In the box were also handy extras too including the parts you need to add a cup holder, car seat or second seat unit as well as a rain cover. 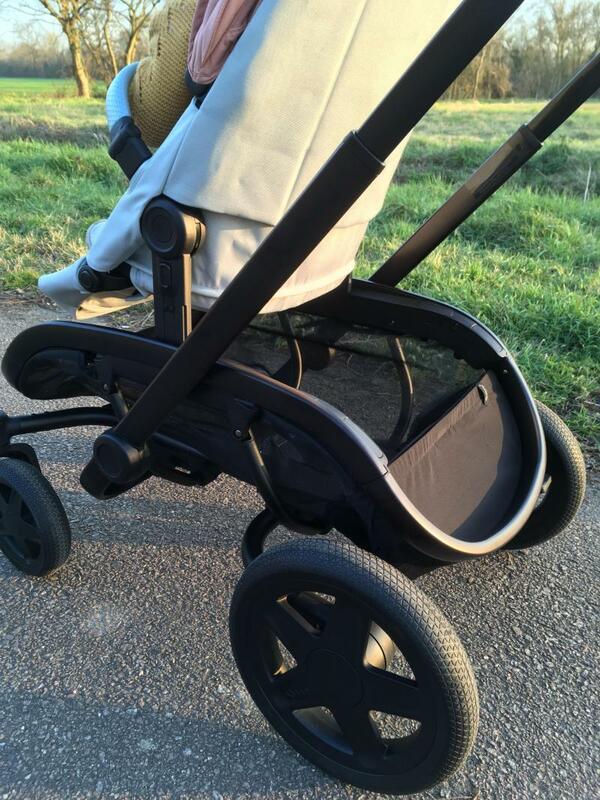 The pram itself is beautiful and stylish, and so easy to use. The hood is extendable, which is perfect for those cheeky babies who won't wear a sunhat! The fold is very cleverly done and is easy for using one hand to fold, and the brake system I found much better than most. Rather than separate buttons or a lever it is one button you simply click with your foot to apply, then click again to release. The full pram is quite bulky and heavy, which I'm apprehensive about as I will be needing to make it into a double in a few months time, however the weight does also reassure me that the pram is definitely sturdy enough to safely carry two children which makes up for it. Having a large boot space would be desirable for this pram, especially if using as a double as it takes up a fair bit of space. The only down side for me is that there are only 2 handle height settings. For me, a small 5ft 0.5, the lowest handle setting is too high so not as comfortable for me, But of course can't have it in the position for folding as that would be way too low. For taller people it has proven perfect- my husband and friend gave it a go too and both loved it, saying it's so comfortable and easy to use. There are also other added extras. The basket it large and can hold a lot(though the frame does restrict use a little) But there are also added secret pockets at the front and back of the basket. I love these and find it helpful to keep my phone, purse and a few handy baby snacks to easily access when out and about. The bit I'm very excited about is that once your child is a little bigger you can remove the second seat and use a little bench style seat instead for them to ride on when they get tired. This is so clever as it means you don't need to constantly use a double pram when your child is mainly walking, but they still have the option to rest. 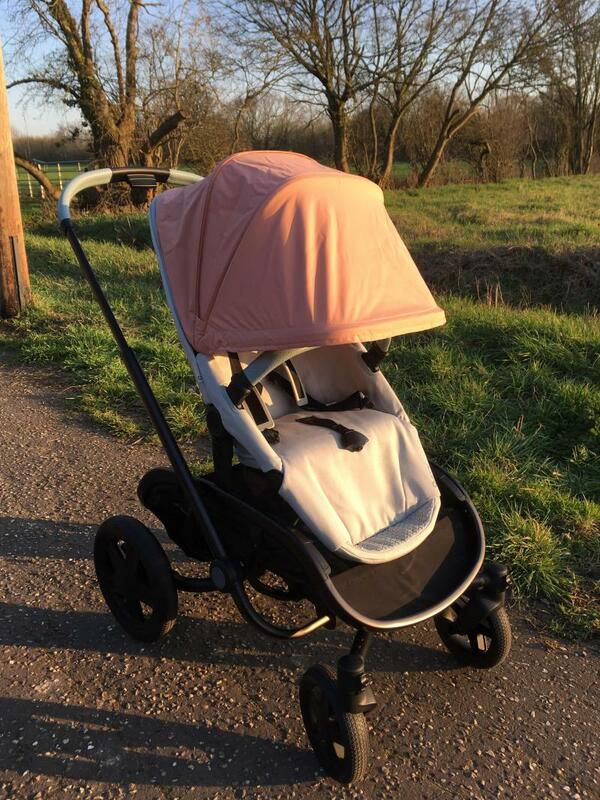 I do not yet have the carrycot to add to the review, however I'm confident I will be just as happy with that as i am the rest of the product. One thing I am aware of is these little extras (carry cots, extra seat units, bench bar) does bump the original cost up a fair bit. 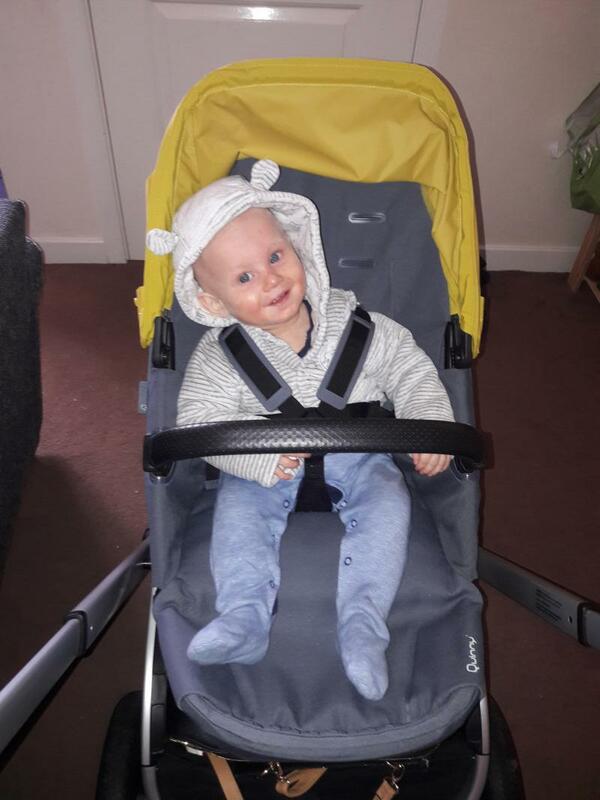 Though given the stability of the product I can be confident that the 'lifetime guarantee' of the pushchair makes all those costs worth it- it's definitely a keeper! I give it a 9/10 overall. 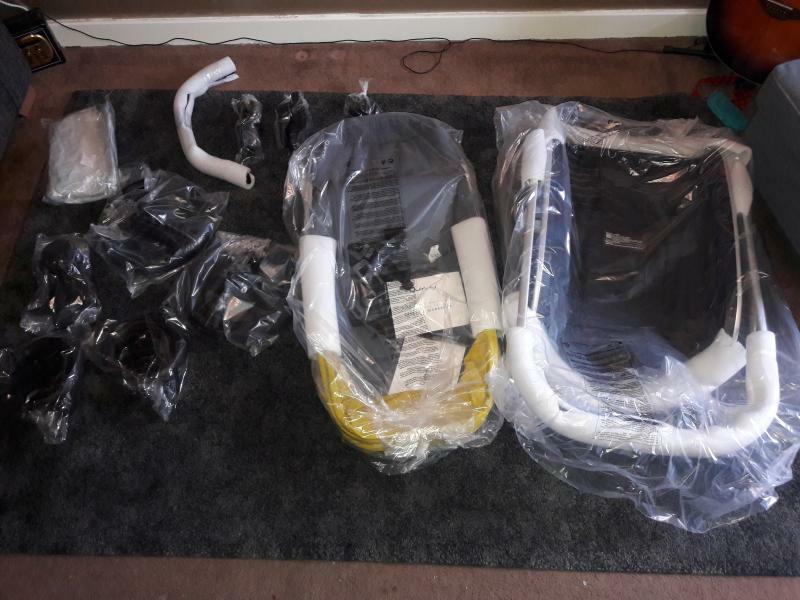 This pushchair didn’t take too long to set up - only 20 minutes to get it out the box and put all bits together which I thought was fantastic! First impressions when built was that it was a very fashion forward pushchair which looked great. 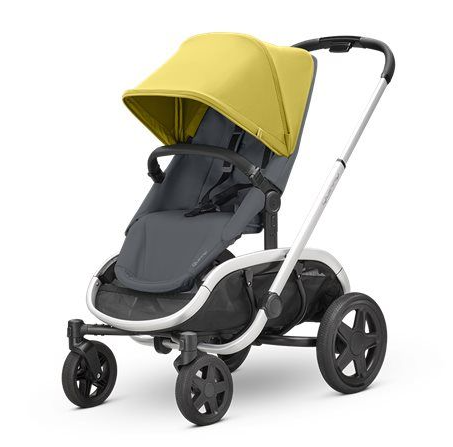 It steers beautifully around corners and over tougher terrain, and the large wheels made it easy to navigate lumps and bumps and curbs whilst protecting your precious cargo! 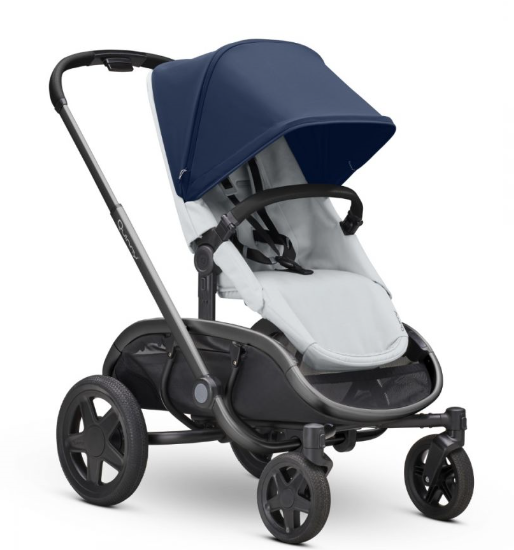 My favourite features are the 5 recline options and the really big canopy which is UV protected. The secret pocket is a fantastic idea as you can hide all your possessions away from prying eyes. The seat is very deep and comfortable and the three point harness is secure and comfortable also. The footrest can be made higher or lower really easily. The basket at the bottom is said to be large, but the metal chassis gets in the way of the basket so it actually isn’t that deep. The only downside is that the chassis is also very heavy and takes up a lot of room in my car boot. I love the fact that you can put it down with only one hand and use it many ways with multiple add ons from birth to 4 years of age, and with multiple children on board. It’s definitely built to last but because it’s not a classic style I think it would probably date before breaking! 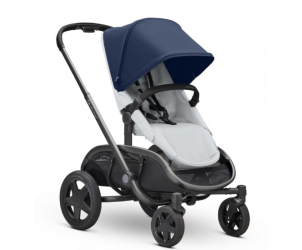 It’s a must have for someone who wants a stylish, urban pram with flexible features. It's built in buggy board. Have a 6 month old and a 27 month old. So this is a great pushchair for us. Love the buggy board option and that you can have it in either single or double mode. The extra large sun canopys are brilliant d you don't have to buy these separately. Basket is big as we are a big family and always have lots of bags and bits. 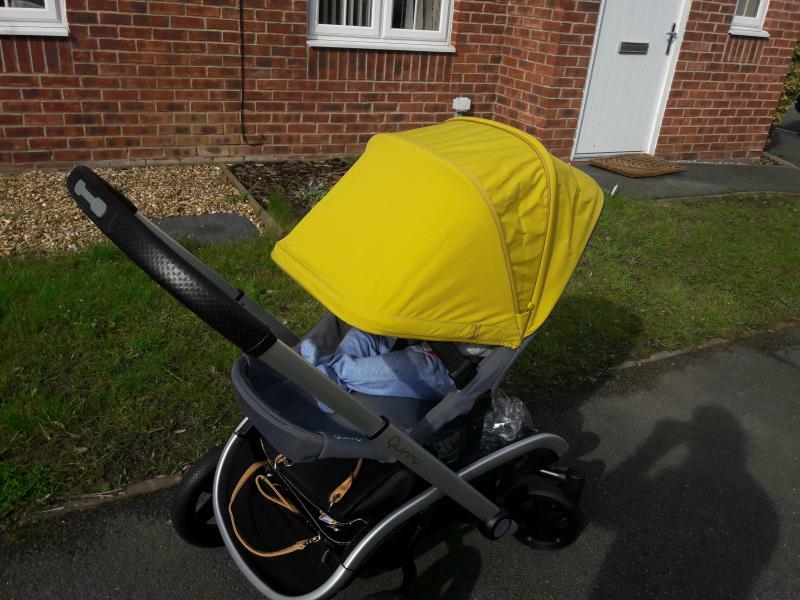 Introducting the new Quinny 'Hubb Pushchair'. Meet the Hubb Mono, your perfect city shopping companion. 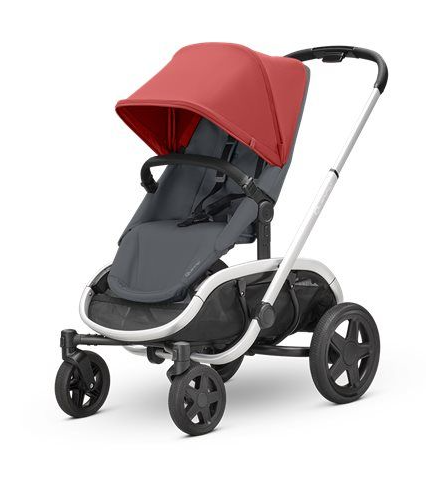 It's a sleek, highly comfmy and completely modular stroller. The Hubb Mono has all the storage capacity you could want for urban life on the go. Plus, it's ready from-birth all the way until your child can walk his or her own way. 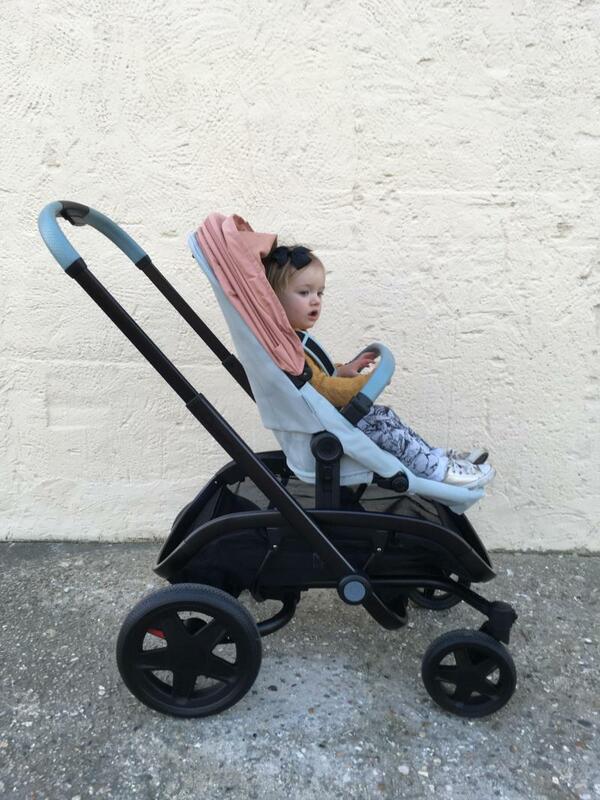 So, no matter what your plans are, the Quinny Hubb Mono gives you all the flexibility parents need. Bring it on!